This swivel bi-fold operator throws locking bolts into the frame at top and bottom of the panel. Optional key-locking (separately installed) is available. 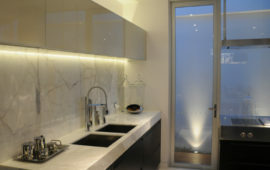 Having an operator handle located centrally on say a bi-fold door removes the need to bend down or stretch to reach flush bolts that might be located at the ends of the stiles. The ICON™ handle is rectangular and crisp with no visible fasteners when handle is in the closed position. Low line furniture ensures the handle won't strike adjoining panels when doors are in the open position. Only compatible on hinged doors or bi-fold doors with a loose-leaf e.g. with odd-numbers of panels or "+1" configurations. The grip has a gently radiused front face and a curved back for a comfortable hand hold. This bi-fold swivel operator throws locking stainless steel bolts into the frame at top and bottom of the panel. Optional key-locking (separately installed) is available. Available in 316-grade stainless steel and painted finish. Having an operator handle located centrally on a bi-fold door removes the need to bend down or stretch to reach flush bolts that might be located at the top and bottom of the stiles. 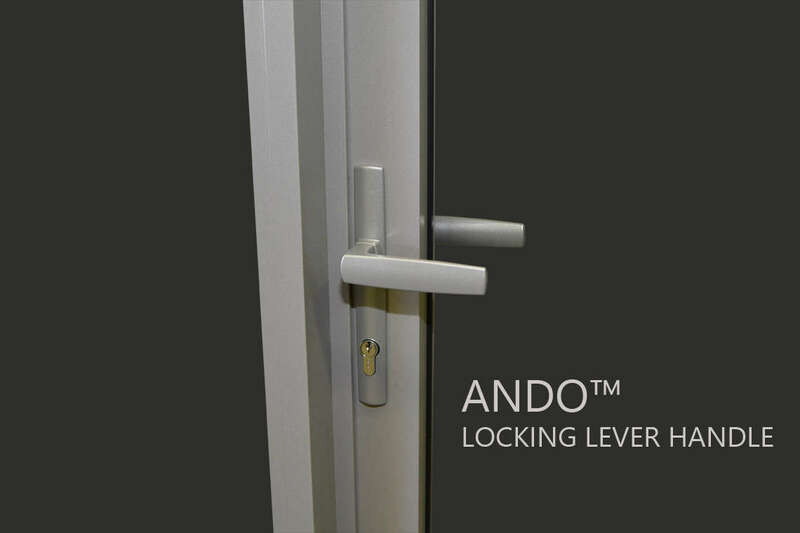 The ANDO™ handle is clean and smooth with no visible fasteners when is in the closed position. Available in a large range of powder coat finishes to match the door panel colour. Also available in 316 grade stainless steel. Low line furniture (15mm) ensures the handle won’t strike adjoining panels when doors are in the open position. Handle has ball detent to keep the handle at 90° (in the unlock position) when opening panels. Matching hinged door lever furniture available. A clean compact lever handle with up to three point locking. Available in 316-grade stainless steel and painted finish. This swivel bi-fold operator throws locking bolts into the frame at top and bottom of the panel. Optional key-locking (separately installed) is available. Having an operator handle located centrally removes the need to bend down or stretch to reach flush bolts that might be located at the ends of the stiles. 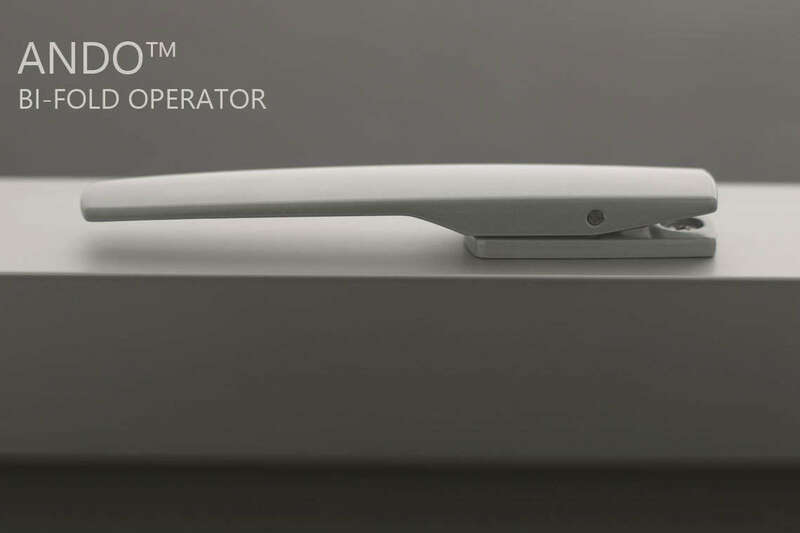 The MIRO™ handle is curved with no visible fasteners when handle is in closed position. Furniture available in a large range of powder coat finishes to match the door panel colour. With a sleek, comfortable grip common to all MIRO™ hardware, the lever door lock is available in several locking options, including keyed both sides or with interior snib.